After a few weeks of not baking for my challenge of baking every recipe in Mary Berry‘s Baking Bible, it felt a little strange to get her book out again and look for something easy to ease myself back into this. This recipe is one of her tray bakes and as I had cherries and dates left over from Christmas baking , it seemed like a good one to re start the challenge. Mary asks you to rub the butter into the flour to make breadcrumb like texture, then add the chopped cherries and dates, some caster sugar and an egg. Bring it all together into a dough like ball and press it into a tray bake tin. Place it in a pre warmed oven for about 10 minutes. 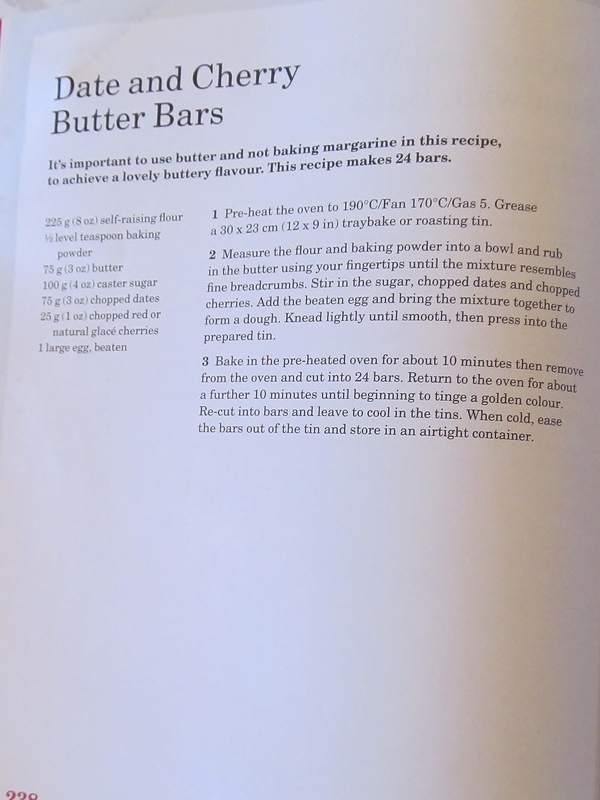 After 10 minutes, mark it into bars with a sharp knife and return it to the oven for another 10 minutes or until the bars are a lovely golden colour. Score through the bars again and allow to cool in the tin. Once cool, keep in an airtight tin. A quick and easy to get me back in the Mary Berry challenge saddle! 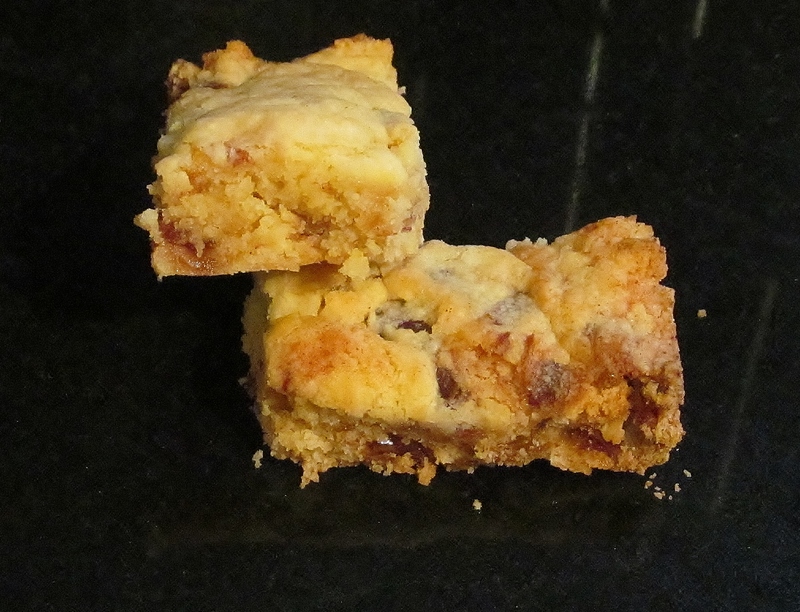 This entry was posted in Kim's cake challenge and tagged Baking, Baking Bible, Butter, cherries, Christmas, Cook, dates, Great British Bake-Off, Kim's Date & Cherry Butter Bars, Mary, Mary Berry, Mary Berry's Date & Cherry Butter Bars, Sucrose by kimsideas. Bookmark the permalink. Hi Kim, I’m so happy to come across your blog! I adore Mary Berry and her Baking Bible is the most used cook book I have. Your challenge is very exciting and I’m looking forward to reading back over your posts and the ones to come. Keep up the good work!